” It was Sunday, May 16, a cool evening in the spring of 1926. Twenty-six year old motorcycle patrolman Michael Beuerlein patrolled the village of Parma on his Harley Davidson motorcycle as the sun began to set over Lake Erie. Officer Beuerlein ‘s thoughts were not entirely devoted to his job but skipped occasionally to thoughts of his upcoming marriage on June 15 to sweetheart, Edna Tiedjan, daughter of Parma’s Justice of the Peace. At 7:30 p.m., Patrolman Beuerlein was dispatched to a free-for-all riot fight reported in progress on Commonwealth Avenue in the residential district. Officer Beuerlein , in answer to the call, sped his motorcycle north on State Road, where fate would determine that Beuerlein would become the first Parma Peace Officer to die in the line of duty. As Beuerlein ‘s motorcycle approached the intersection of Wick Road (now Grantwood Drive), a Ford Coupe, driven by Fred Sattler and occupied by three passengers, approached the intersection from the opposite direction. Sattler, intending to enter Wick Road, began turning left across the streetcar tracks, not yet aware of Beuerlein ‘s approaching motorcycle with siren wailing and flashing emergency lights. As Sattler’s automobile entered Beuerlein ‘s path, Sattler abruptly stopped his vehicle intending for the officer to pass in front of him. Instead, Officer Beuerlein ‘s motorcycle crashed broadside into the Ford. The impact of the crash broke Beuerlein ‘s leg as he was thrown from his motorcycle. Beuerlein was hurled twenty feet and suffered a fractured skull as he struck the roadway. Beuerlein was taken to Deaconess Hospital where he succumbed to his injuries on May 20, 1926. Officer Beuerlein was laid to rest in his home town of Nashville, Tennessee. 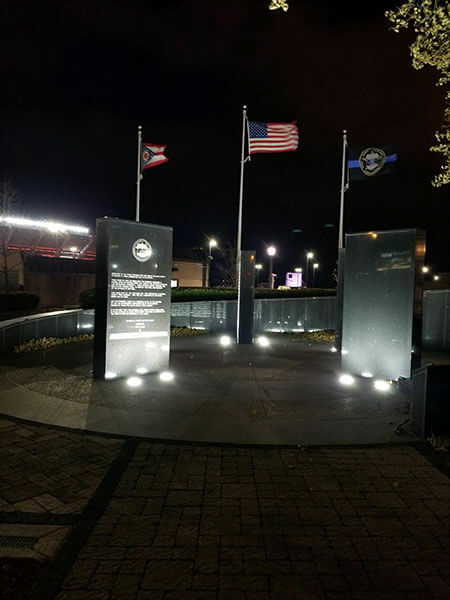 Those involved in the riot, 28 year old, Fred Stauch and 35 year old, John Moutauski were charged with creating the disturbance which led to Beuerlein ‘s death. By Sgt. Kim Cornacchio, Capt. 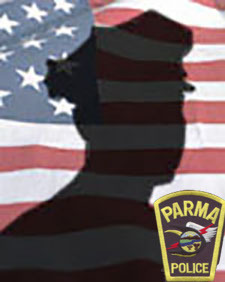 Daniel Hoffman, Parma Police Dept.